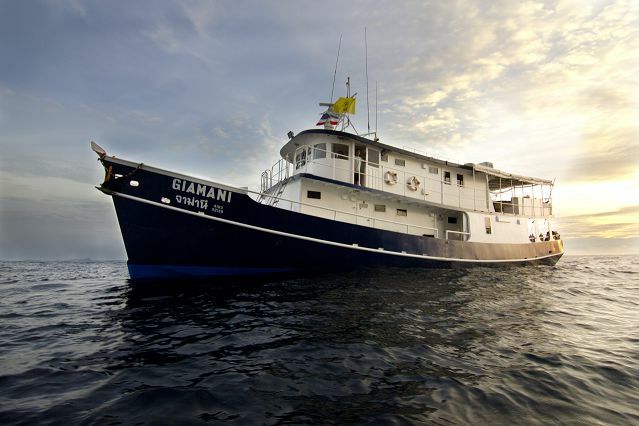 She was purpose built as a diving liveaboard in Thailand in 1998, in 2007 Colona Liveaboards took possession of her and started running trips to the Similan Islands and Burma. In 2011 she spent a month in the Andaman Islands running trips from there. With the retirement of the MV Colona VI in 2011 she took over her six day schedule which she will be running for the foreseeable future. Comfortably housing a maximum of twelve guests there is plenty of room for relaxing and a spacious dive deck . Favourite Dive Sites: Elephant Head Rock & Koh Tachai Pinnacle.